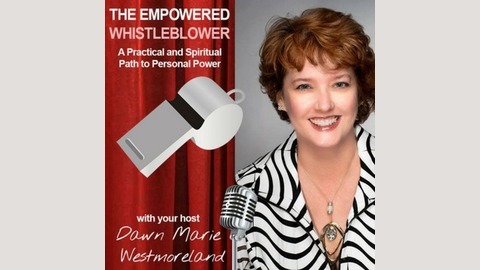 Host Dawn Westmoreland brings in guest experts to discuss strategies to stand up to bullying and discrimination for adults and children. This podcast offers tips on resiliency, overcoming, healing and other guidance to empower listeners. Do you want to know how to help children who are bullied in their schools or how to handle workplace bullying? 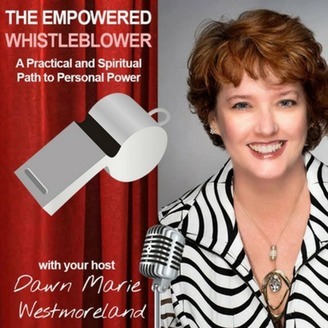 Dawn and her guests blow the whistle on tactics used to bully and discriminate people and provide solutions that create healthy and safe work environments. More on Meg Hanshaw: LinkedIn: https://www.linkedin.com/in/meg-hanshaw-ph-d-214bb011/ Website: http://ibmee.org/ It is my vision that all students have the freedom, confidence and skills to live their highest and healthiest visions, so schools are where everyone thrives. I consult, coach, and train students and their mentors in practicing a proactive, new-paradigm person-centered approach to health, wellness and personal empowerment. I excel in developing healthy and empowering school (and family) environments using a top-down, inside-out systems approach to healthy behavioral and environmental change. I believe that personal empowerment and wellness involves a process-oriented, whole-person coach-approach, that develops healthy and empowering classrooms and connected relationships with yourself and others. I began my personal wellness and empowerment path in college where I learned how to take care of my body at the highest level participating on the Marshall University basketball and track teams and receiving my undergraduate in physical and health education and an MS in exercise science. Although I thought I was healthy, it wasn't until I was diagnosed with chronic fatigue and hyperventilation syndrome (stress induced) at age 24, that I began my search for "true" wellness. Typical western medicine at the time had no "cure" for these conditions. I struggled to enjoy my life and reach my goals with ease. Learning about every holistic, integrative, motivational, leadership and coaching/resiliency practice I could find, I found my way back to a state of "wellness" that I had never experienced before. Along the way, I found that practicing wellness was a challenge in many environments including education, so I became passionate about transforming this environment into a W.E.L.L. culture using my 30 years of research and personal experience to individual and cultural change. Currently, I am doing this in my non-profit, i.b.mee. where I have created a way to shift the educational environment from a disempowering, unhealthy one to an empowering, healthy one.